The trial version of the most popular game – Cut the Rope is now available for download from the Windows Store. I have played Amazing Alex, but nothing is as addictive as Cut the Rope. The game has already had 250 million downloads and still counting. The little monster OmNom has only one request, CANDY!! You feed candy to the monster and in return collect gold stars as rewards. You also get to discover hidden prizes and unlock exciting new levels in the game. Since the trial version, the free game has limited number of levels as against the paid version which has 275 levels. For additional levels, purchase is required. 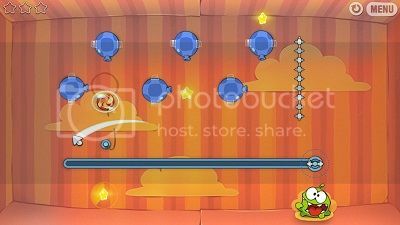 Get Cut the Rope from the Windows Store.